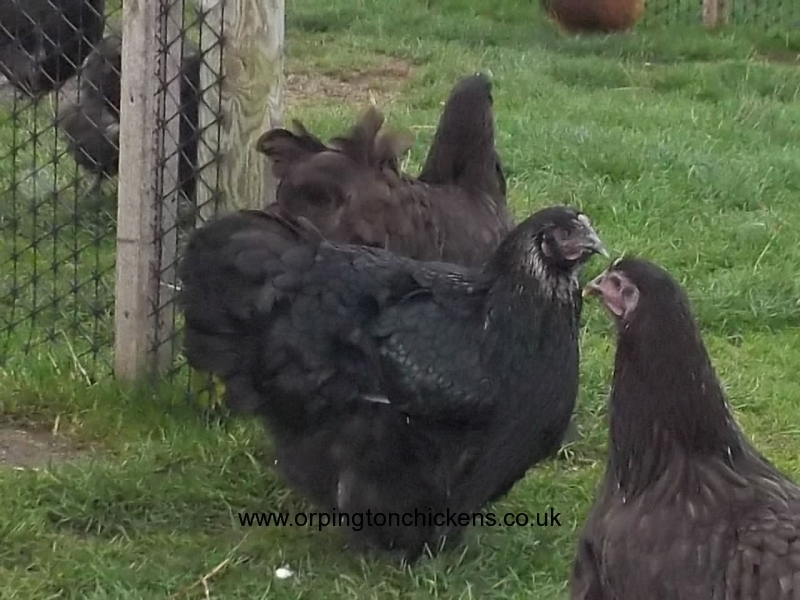 This is one of our many works in progress. 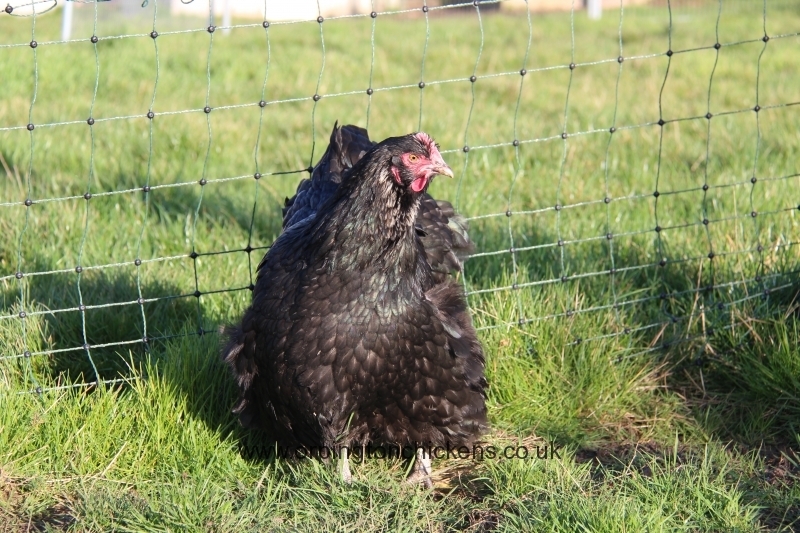 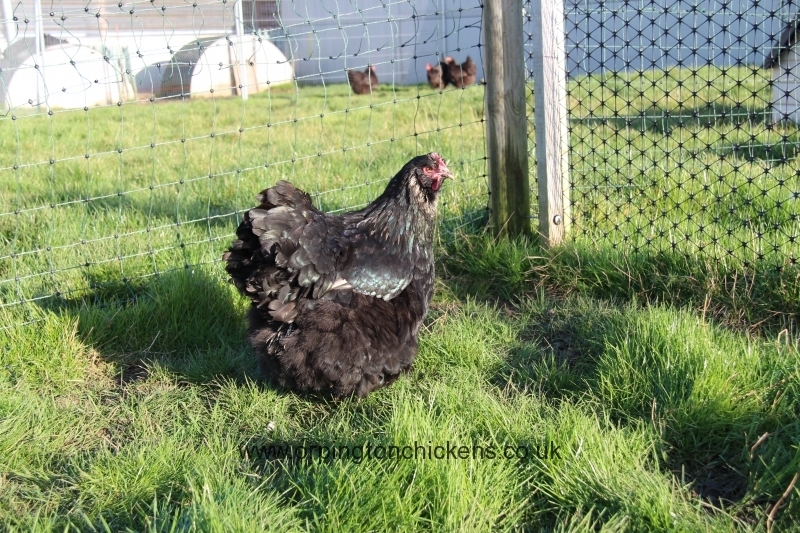 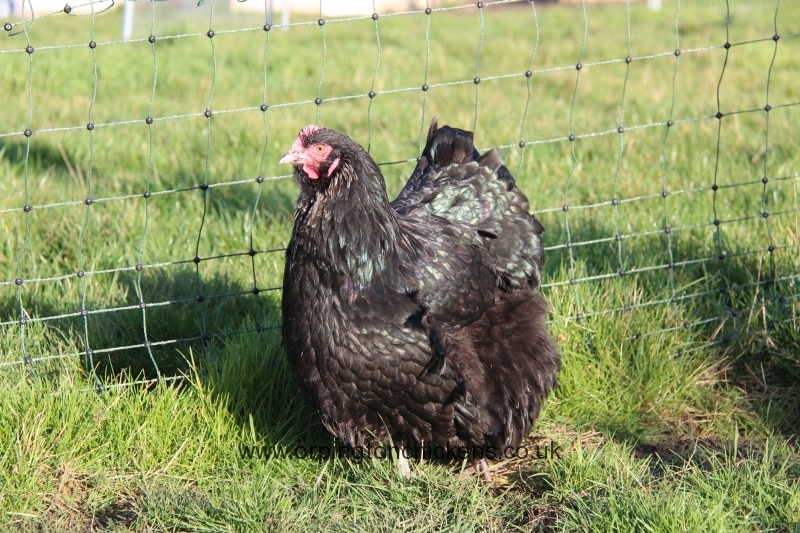 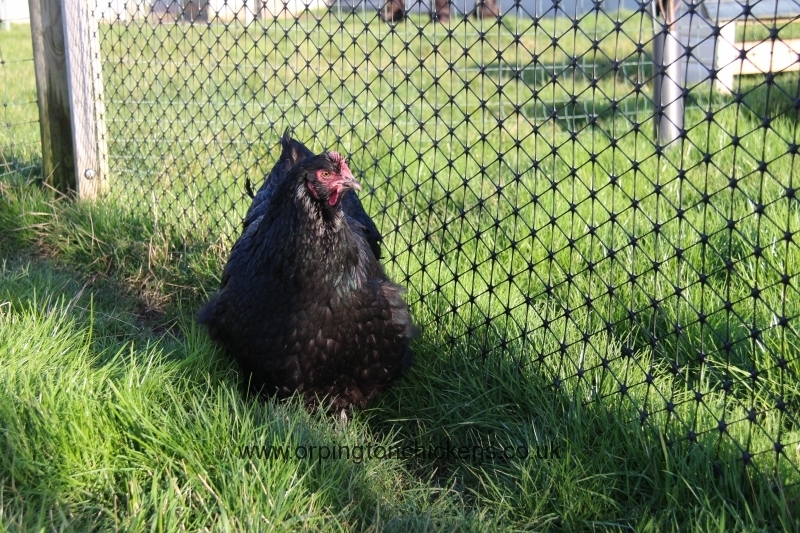 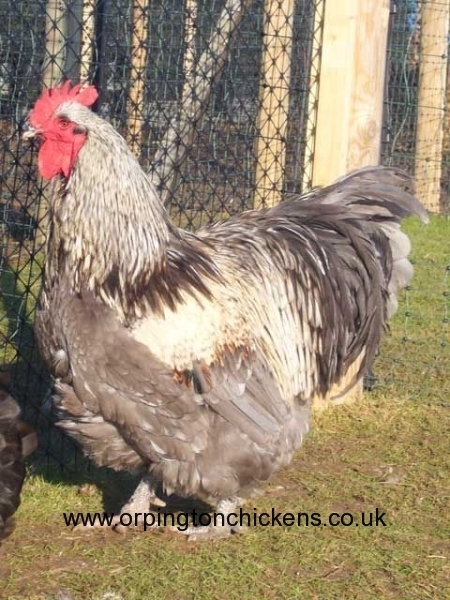 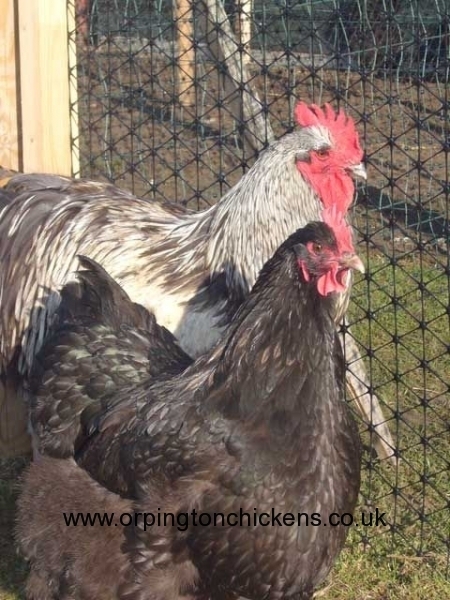 We have a spectacular Blue silver birchen cockerel which we aim to put over black hens with silver neck hackles which were bred from a silver laced project we have undertaken. 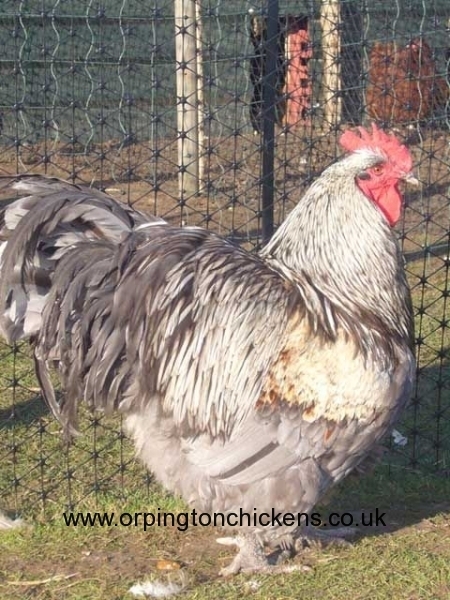 The 2012 and 2013 offspring of this colour bred true and were a mix of blue sliver birchens and black silver birchens, so we will be taking orders for hatching eggs in this colour for 2014. 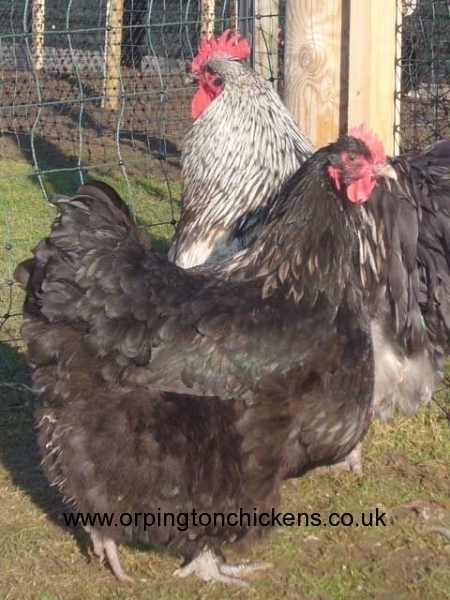 These Blue Silver Birchen Orpington pullets (pullet is a female under 18 weeks old) have been bred from our own flock and hand reared at our Essex Orpingtons farm.